Turn your house and living room into a spring meadow. 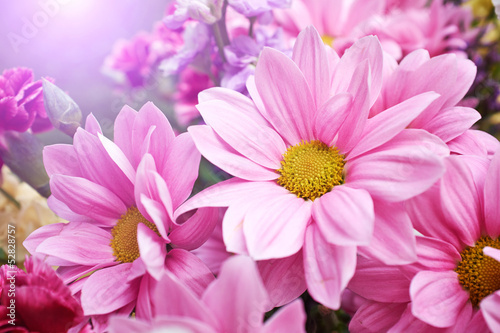 Use the floral photo wallpaper with dominating pink and violet colours. The whole composition resembles a wonderful bouquet which elements have been carefully adapted to each other. In the background, there are subtly outlined sunbeams.